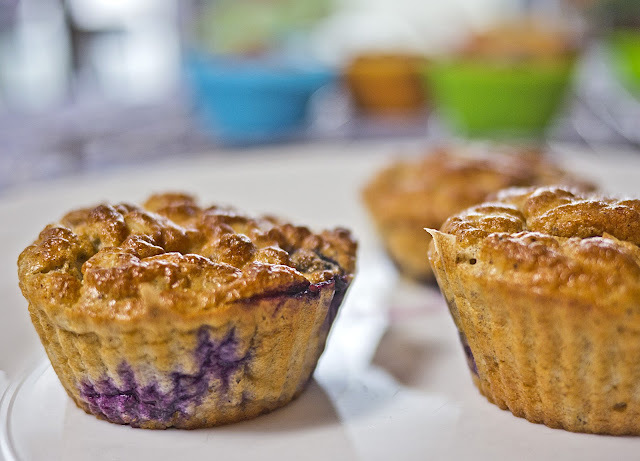 These have the taste of muffins, but the texture is much lighter and a bit more spongy. They are sugar free, fat free, gluten free and certainly guilt free. Enjoy! 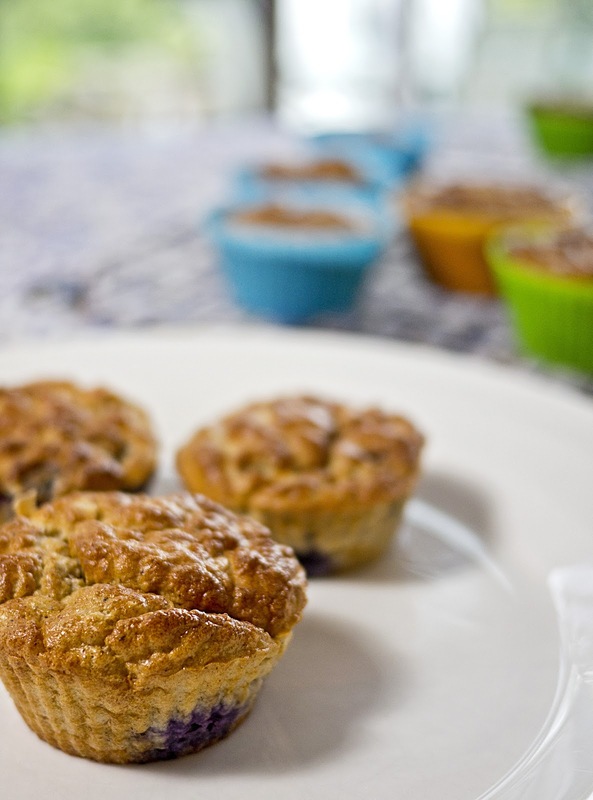 Start the day before you want to eat the muffins. Soak the oats in the yogurt, sweetener and ca 2 tbsp water (depending on the consistency of the yogurt) overnight. Separate the eggs and whisk the whites until soft peaks form. In a separate bowl, mix together the yolks, ricotta, baking powder, oats and cinnamon. Adjust seasoning and if necessary add more sweetener. Stir in the blueberries. Carefully fold in the egg whites, one third at a time. 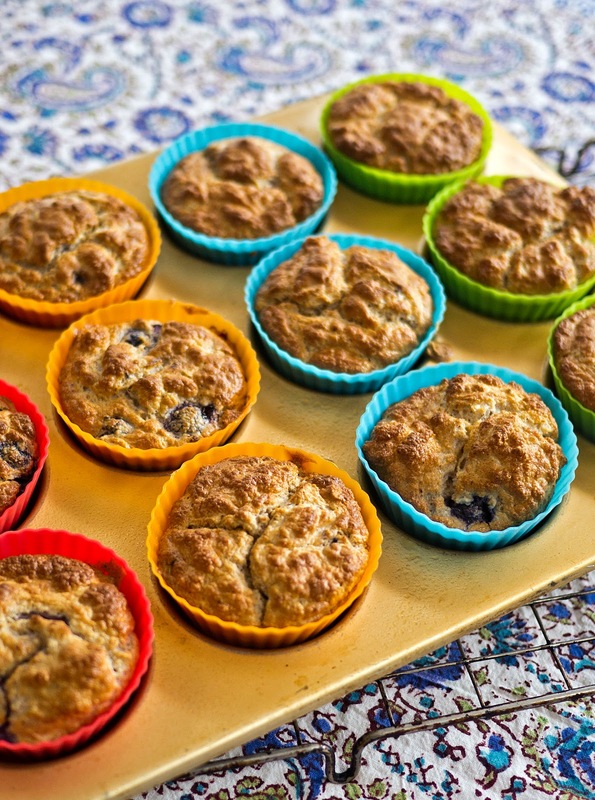 Place spoonfuls of the mixture in muffin tins and bake for 20-25 minutes at 190°C, until a skewer comes out clean when inserted into the muffins, and the top is nicely brown.